Interview with Elizabeth Chadwick and Giveaway of Her New Novel! 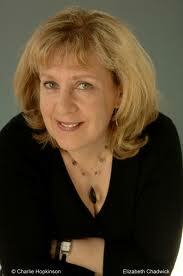 Both my review partner, Sandra, and I have read and loved Elizabeth Chadwick's novels. I have read For the King's Favor, but Sandra's a real fan, having read The Greatest Knight, To Defy a King, The Scarlet Lion, Lady of the English and also her latest, A Place Beyond Courage. (Click on links to read reviews.) So when we were given the opportunity to interview Elizabeth, we were excited. Please help us welcome Elizabeth Chadwick as we ask her about her latest novel A Place Beyond Courage, and get to know her better. LCR: In your brief references to William Marshal in the book it is obvious that you like him, even as a young child. Did you like John Fitzgilbert/John Marshal? EC: Yes, very much. 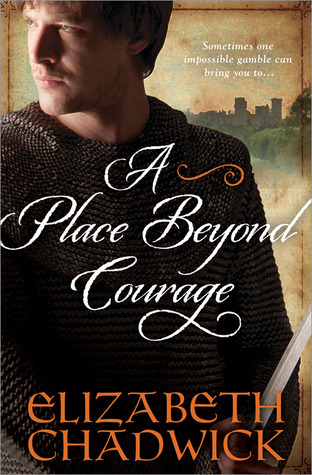 When I first began writing A Place Beyond Courage, I didn't know what to expect. I knew that John had said of his son William that he did not care about him, and that he had the anvils and hammers to beget better sons than him which doesn’t sound a good start. However, with a writer’s curiosity, I wanted to find out the real story and emotions behind those words, because the man William Marshal grew into, was certainly not the product of an undervalued childhood. There was far more to this story than met the eye, especially when that eye was tuned in to medieval mindset. What I found was a complex man, striving to protect himself and his family, a man horribly stuck between a rock and a hard place and having to make some very tough choices. Were they the right ones? Who can say? LCR: Why did you choose to portray Aline as such a fearful, mousey person who couldn't even tend her husband after the battle of Wherewell Abbey? Was it to make Sybilla more likeable and the reader more accepting of John's divorcing Aline and marrying Sybilla? EC: Absolutely not. I portrayed her as she was. As many readers know, I use psychic research as one of the strands of my investigations into the period, and this was the Aline who came through. I think she has to be viewed with sympathetic eyes. I also think that she's important in showing one of the many attitudes towards religion in the mediaeval period. Aline’s notion of what constituted sin was typical of a certain belief at the time. As in our own period there were many differing views of religion, but Aline’s character is representative of one such mindset and there were many like her. John's marriage ended in annulment, and was probably the best he could do in the circumstances. Had he not agreed to the marriage with Sybilla, he would have been brought down and killed and Aline and his sons put in jeopardy. Aline would still have been sold to the highest bidder and his sons would have been put in wardship and their lands taken and milked by a guardian for his own ends. As it was, Aline was worthily remarried, and his sons retained their status . Annulment was an honorable way out of a very difficult situation. John had to make some terribly tough choices in order to protect himself and his family. He was looking at the bigger picture, not just the immediate short term goal. LCR: Who is your favorite character in your books on the 12th century? EC: That's difficult to say because many have their merits and it’s a bit like asking who is your favorite child? Were I forced to pick one person in particular it would be John Marshal - perhaps because I feel that history has given him a rough deal and that with our modern mindset we haven't always understood the mediaeval take on the difficulties he faced. It doesn't harm that the man has serious pheromones too! LCR: You describe a harlot as having "increased the length of her braids with horse hair, but the colors were badly mismatched." Is there proof that hair extensions were in use then or is it poetic license? EC: Oh yes, hair extensions were frequently used. We have physical evidence for them from finds in London, and there are mentions in texts, and they can be viewed on-statues. In the latter case that's going by the length of the plaits. Hair will shorten by as much as a third when plaited, so even hair you can sit on, will only come to the middle of your spine when plaited. The hair on the statues is much longer than that. LCR: Can you clarify your meaning of the "Akashic Record"? I understand they are not written documents/archives, but are they something mystical? EC: It’s a psychic ability to see back into the past as if watching a film, but with all the senses and emotions involved. I've been using it via a lady with the ability to do this looking back since 2004 and have hundreds of hours of digital recordings, and more than 1000 pages of transcripts. It depends on the individual whether they take this as fact or just another form of imagination. I leave it to people to make up their own minds, but I just say I use it as one of the numerous strands of my research, and I get it checked out and commented on by a working historian of mediaeval cultural studies. She tells me the mindset is mediaeval, not modern - so wherever it's coming from, it's fine by me, because what’s not to like about achieving that mindset when writing historical fiction about the period! LCR: You're a master storyteller of medieval historical fiction. How do you research your material? EC: There are several aspects to this. I wrote my first novel (unpublished) when I was 15, and I began researching then. It's now several decades later, so that means I have many years of solid research under me as the baseline. What I do when researching a novel is to first read up the need-to-know detail and write a thorough synopsis and the first three chapters ready for my agent and editor. After that I begin to write the novel while researching alongside and deepening that research through several drafts. The research itself consists of primary source documents to get a feel for the situation at the time, the mindset, and the general day-to-day concerns. I also read archaeological reports and study artifacts. I do secondary source research using good academic works when I can get hold of them, and on all manner of subjects. The same with the internet, picking and choosing which websites I use. EC: Sticky toffee pudding with lots of toffee sauce… And perhaps some ice cream! LCR: The last great book you read? EC: Me Before You by Jo-Jo Moyes. (I’m an eclectic reader, and often read outside the historical genre). This one is funny, gripping, heart-wrenching and thought provoking. One of those books that stays with you long after you’ve read it. EC: I'd go to the 12th century of course, and I would go and watch William Marshal perform in the tournament! LCR: Can you tell us a fun or quirky fact about yourself? EC: I have a weakness for heavy metal, hard rock and grunge music. If I get really angry about something, then I’ll have a listen to a song called Blow by Atreyu, and feel so much better afterwards! LCR: Thank you, Elizabeth for this very insightful interview regarding your latest novel, and yourself! Leave a comment stating why you want to win this book. Include an email address. If you do not include an email address (ex. myname at gmail dot com) your entry will not be valid. 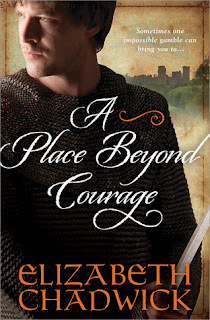 2) Leave a comment also on the review post of A Place Beyond Courage. It will count as an extra entry. *Giveaway ends September 26, 2012.